Unwanted frown lines and facial wrinkles may be temporarily reduced through treatment with Botox®. Botox® is also known as Botox® Cosmetic. In 2005, almost 3.3 million procedures were performed with FDA-approved Botox® Cosmetic. Botox® is a purified protein (Botulinum Toxin Type A) produced by the Clostridium botulinum bacterium. In 2002, the FDA approved Botox® for the treatment of moderate to severe glabella frown lines (vertical creases between the brows). Other cosmetic uses of botulinum toxin continue to be off-label – that is, used at the physician’s discretion with patient informed consent. The 10 minute treatment involves multiple small injections into the muscle and is usually performed in office with or without a topical anesthetic pre-treatment. It may take several hours to a few days to see results. The effects of Botox® usually last for four months; repeat treatment is required to maintain the effects. The most common adverse effects of Botox® among cosmetic users are non-serious and include: lack of desired effect, injection site reaction, and, very rarely, ptosis – drooping of the eyelid. Ο Lack of desired effect is often corrected by administration of an additional dose of Botox®. Ο Injection site reactions may involve temporary swelling or redness; cold compresses usually improve these conditions. Ο Eye drops may be required to treat temporary drooping of the eyelid. 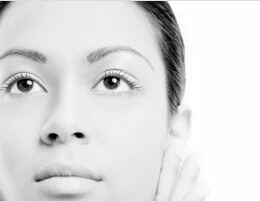 Treatment with Botox® may be combined with injectable fillers. These products complement one another and usually produce better, longer lasting, improvement of facial lines and wrinkles. To learn about another technique for the treatment of facial lines, wrinkles, and volume loss, see the section on fat injection & injectable fillers.